to the world in a special way. your personal story and visualises your new family. 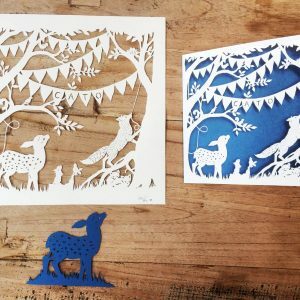 The process of creating your unique papercut is the same as with all my papercuts. 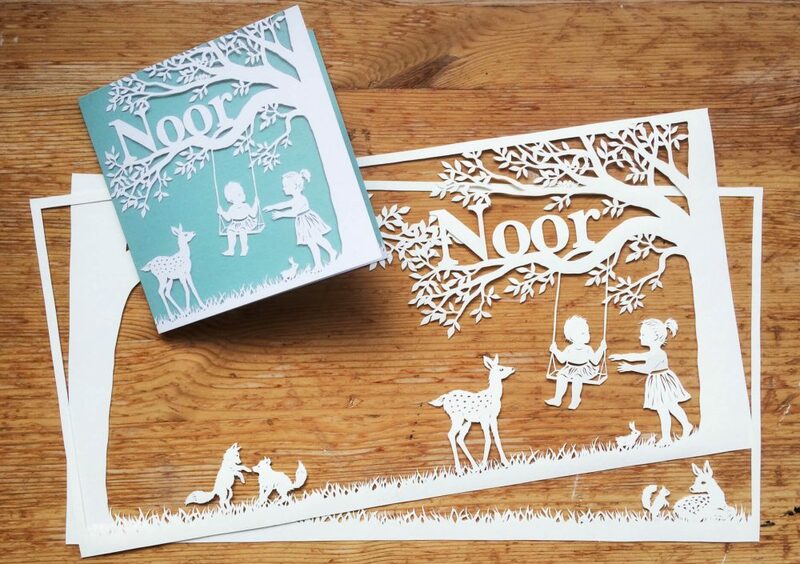 (You can read more about how this works here) The papercut is made according to your wishes, so it will always tell YOUR story or the story of your little family. 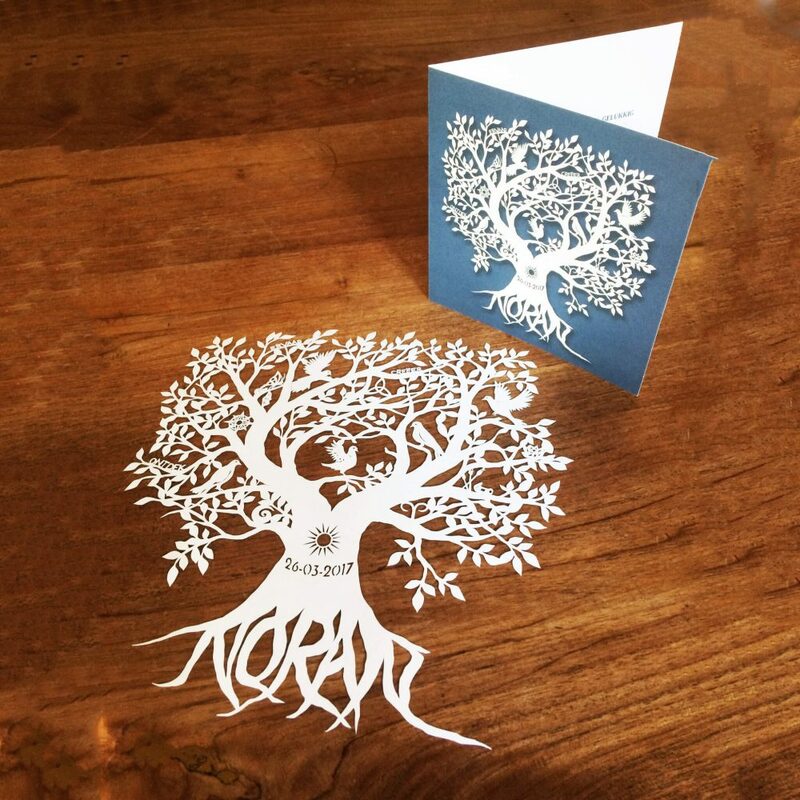 Many of my clients choose to use either a scan or photograph of the original papercut to edit and make printed cards. 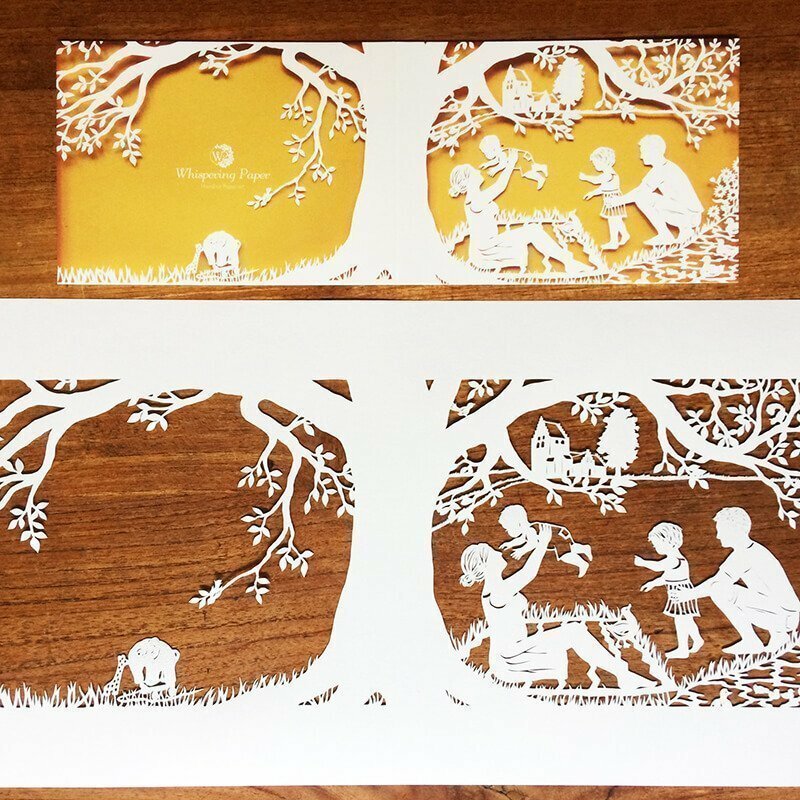 Besides these options, it’s also possible to use the original handcut piece to make lasercut reproductions; this way you’ll get exact cut-out copies to be used as cards. Obviously this technique is a little more costly than the previous one. 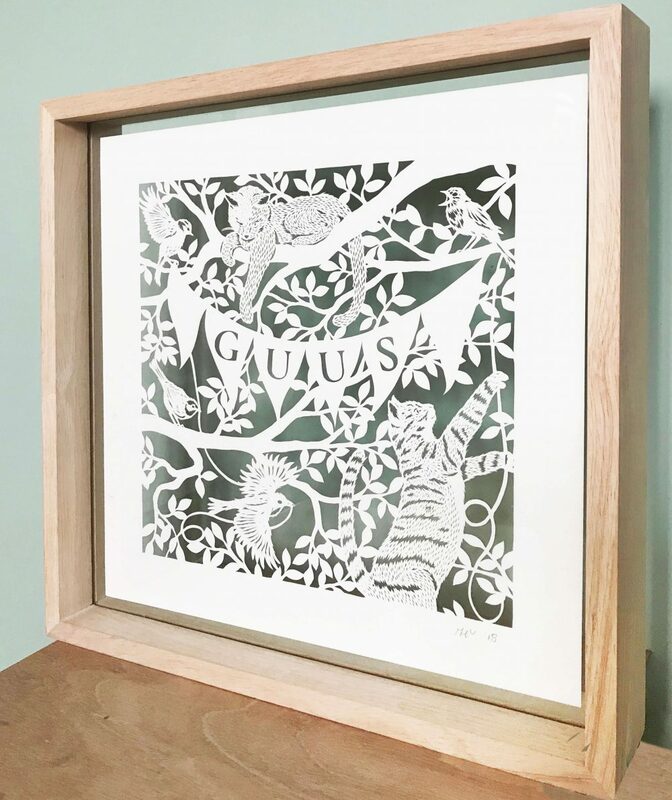 With all options, I ship the original papercut to you after finishing, potentially with the printed / lasercut cards, to be used as an extraordinary piece of decoration in the nursery. Prices for a handcut papercut depend on the chosen size. 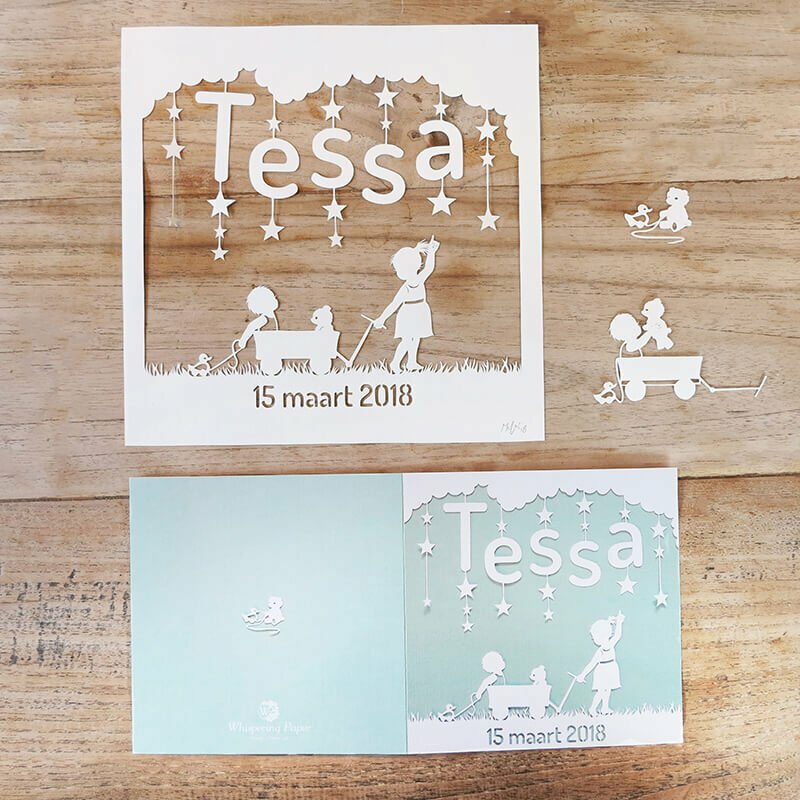 I recommend to have the papercut made 1,5 / 2 times larger than the eventual cards, to create a nice level of detail in the birth announcement card. If you just need the papercut, not the cards, you can take a look at average prices for custom made papercuts. A custom made papercut design on all sides for a 13 x 13 cm folded card. So 2 papercuts of 17 x 34 cm to make the interior and exterior of the card. Professionally designed into a card according to your wishes regarding colour pallette, font etc. 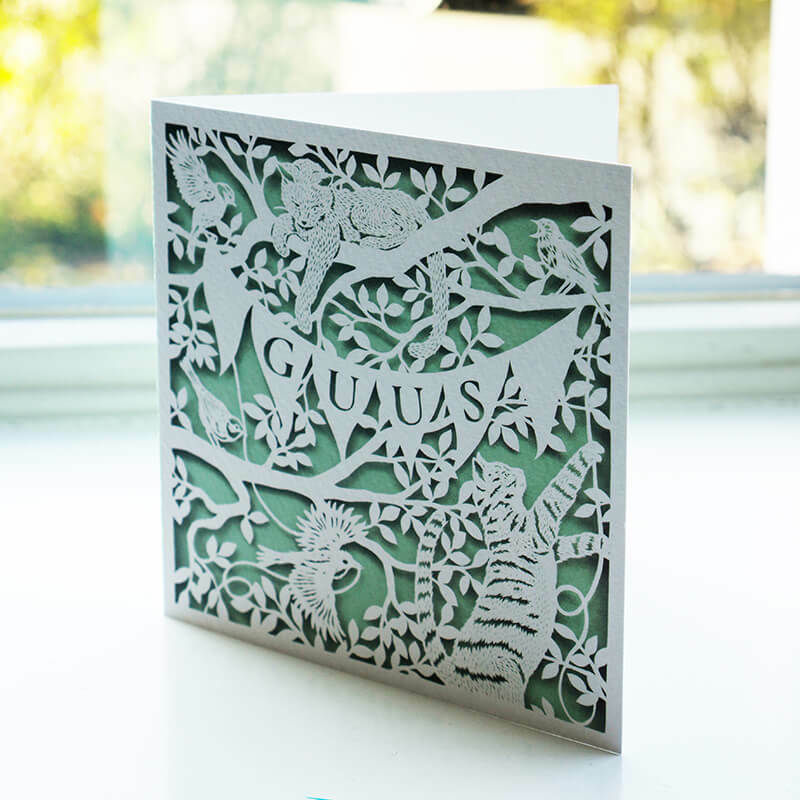 If you would like a papercut design just on the front of the card, this would be about €355. Do you already have some ideas for an announcement, don’t hesitate to just contact me to discuss the details and to get a custom quote. I’m here to answer all of your questions! Keep in mind that prices will vary according to your personal wishes. 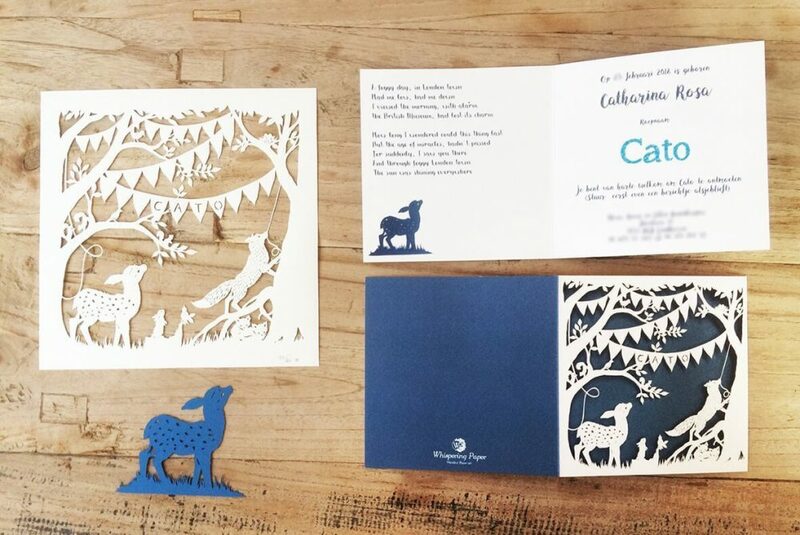 When contacting me for a personal price indication, please think about the following: your ideas regarding size of the card, folded or single, where you’d like it to feature a papercut (just the front, full exterior, or the interior as well) and how many cards you’d like. Read about the birth of some birth announcements and other client experiences. and what did they think of the results?